Starting lineup for the U.S. against Denmark on January 21, 2018. 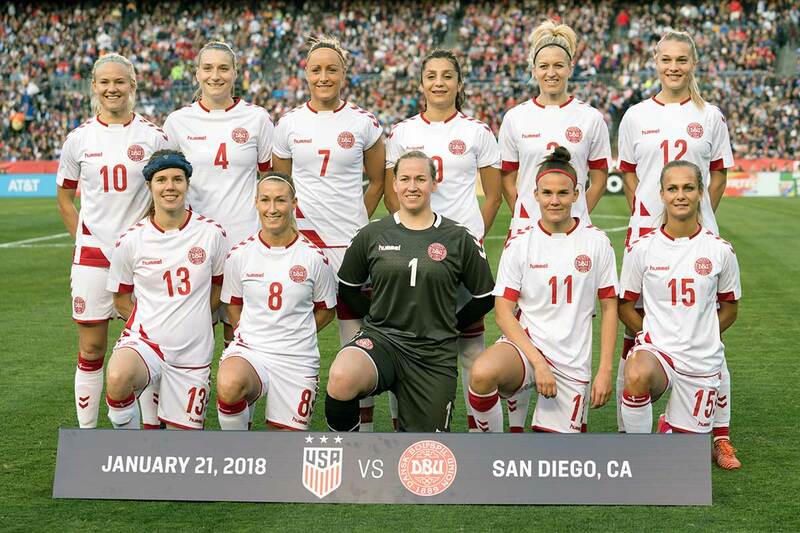 Denmark's starting lineup against the U.S. on January 21, 2018. Trying to sort out the ball kids. (Pugh isn't that much bigger than they are.) Pregame views. 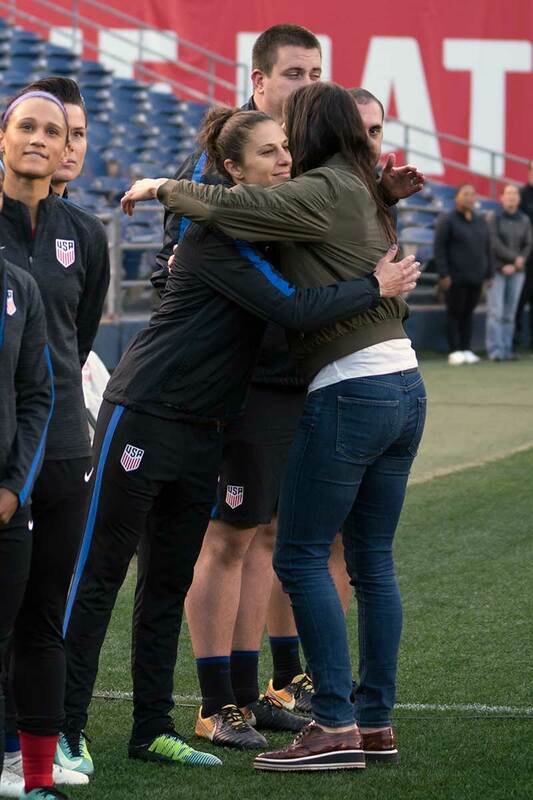 Carli Lloyd hugs Hope Solo before Solo is honored for earning 200 caps with the U.S. Hope Solo is honored for earning 200 caps before a friendly against Denmark on January 21, 2018. Hope Solo U.S. WNT head coach Jill Ellis. 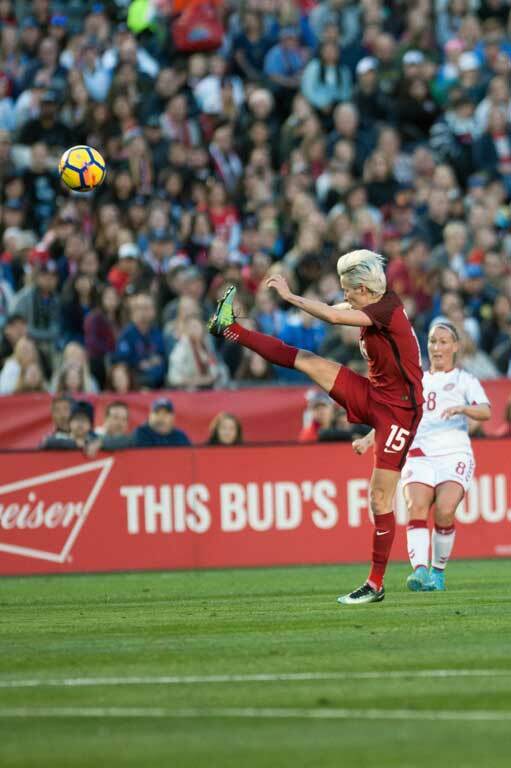 Megan Rapinoe on a breakaway against Denmark. 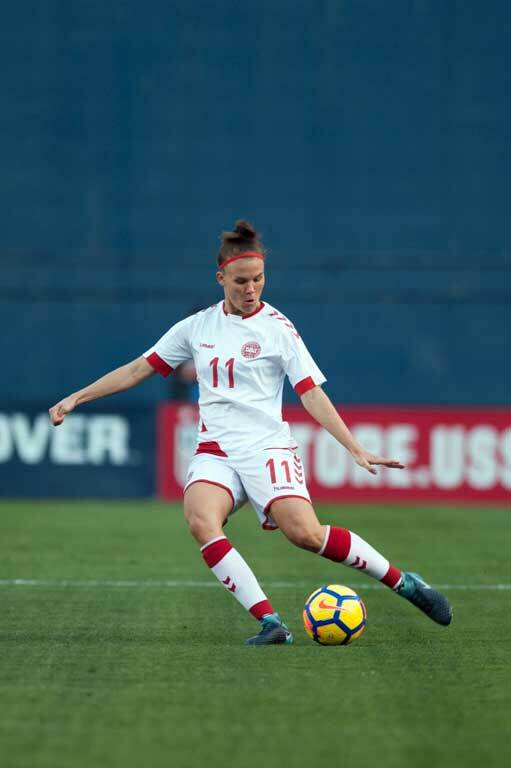 Denmark's Stina Petersen challenges Megan Rapinoe. Julie Ertz and Pernille Harder get up. Katrine Veje is unable to keep the ball in. 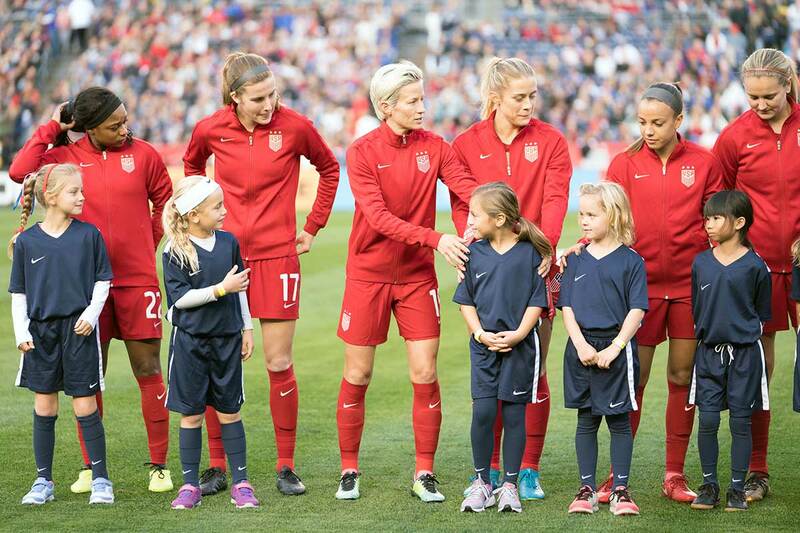 Megan Rapinoe gets a leg up. 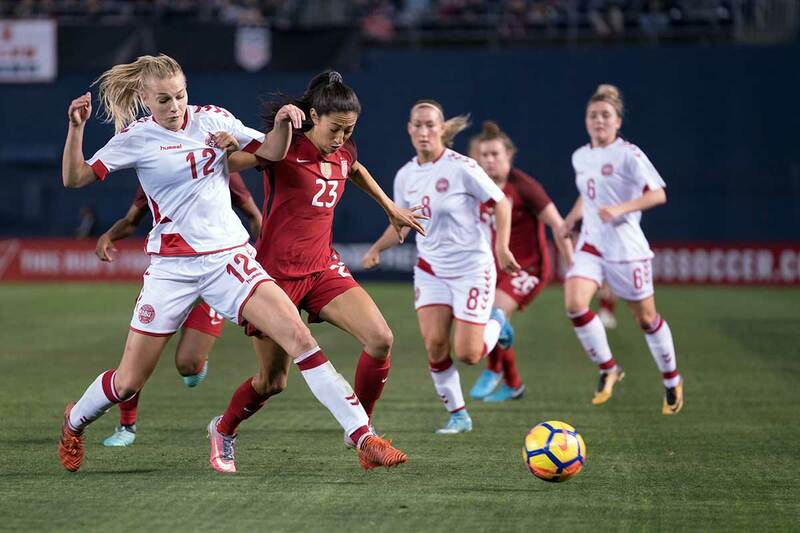 Denmark's Katrine Veje in a friendly against the U.S. Nadia Nadim and Abby Dahlkemper square off. 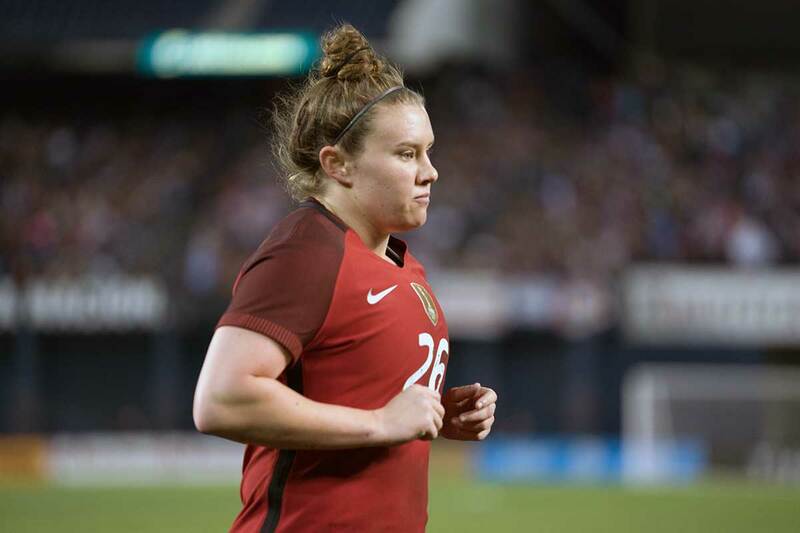 Savannah McCaskill made her senior debut for the U.S. during a friendly against Denmark on January 21, 2018. Stine Larsen and Christen Press vie for the ball. 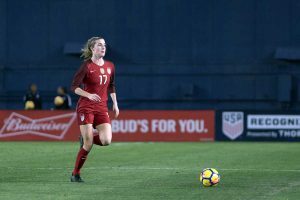 Tierna Davidson got her first start and made her senior debut for the U.S. on January 21, 2018, against Denmark. For good measure, Davidson assisted on Ertz's goal in the first half. Ertz, man. Julie Ertz finds out her husband Zach Ertz is headed to the Superbowl, a league championship. Former Portland Thorns teammates Nadia Nadim (Denmark) and Emily Sonnett (USA). Mallory Pugh and Andi Sullivan celebrate a goal. 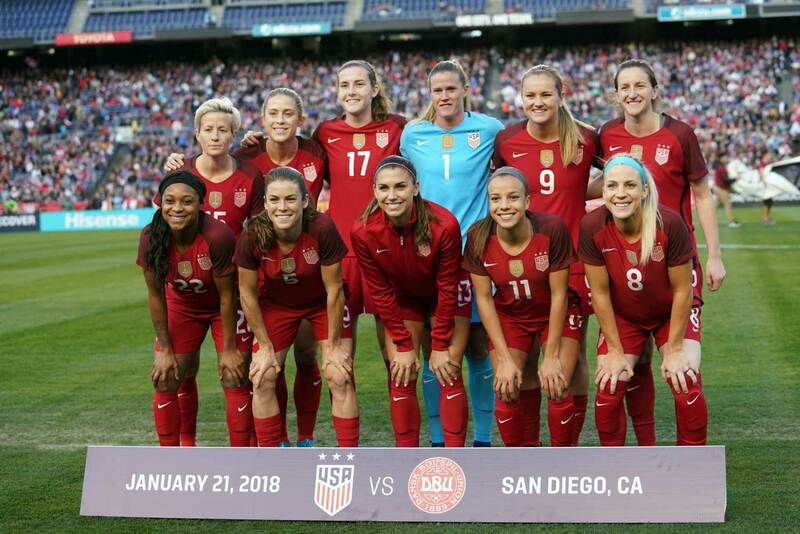 The U.S. Women’s National Team opened up 2018 with a 5-1 win over Denmark in front of 17,526 at SDCCU Stadium in San Diego, California, on January 21. It was the first meeting between the teams since Denmark’s 5-3 win in the 2014 Algarve Cup. The 2017 Euros runner-up struck first in the 14th minute after Nadia Nadim’s header found the back of the net. 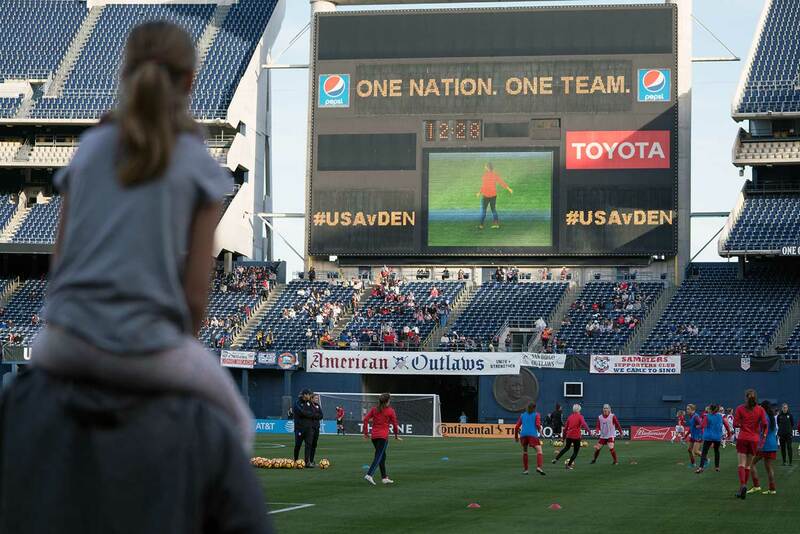 The U.S. equalized in the 17th minute after Alex Morgan knocked in a cross sent in from Mallory Pugh. 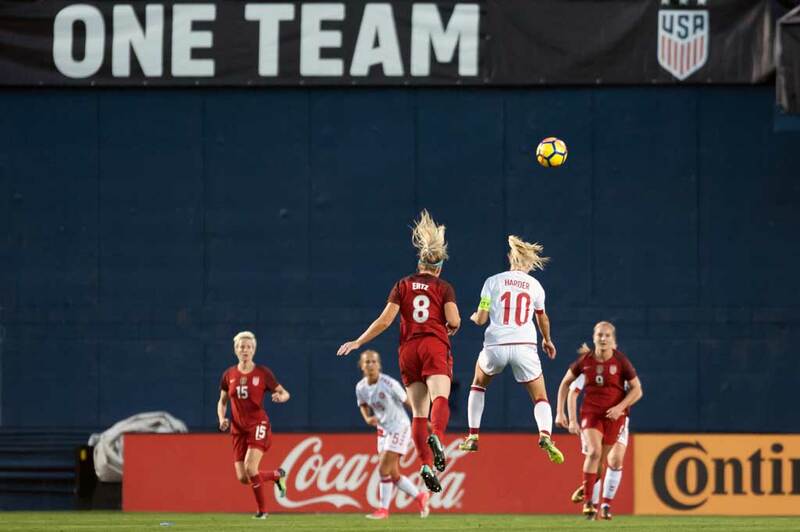 Julie Ertz put the U.S. ahead in the 19th minute off a Julie Ertz volley past Denmark’s Stina Lykke Petersen. Tierna Davidson, in her international debut and start, headed Abby Dahlkemper’s pass toward the goal to earn her first assist on the play. 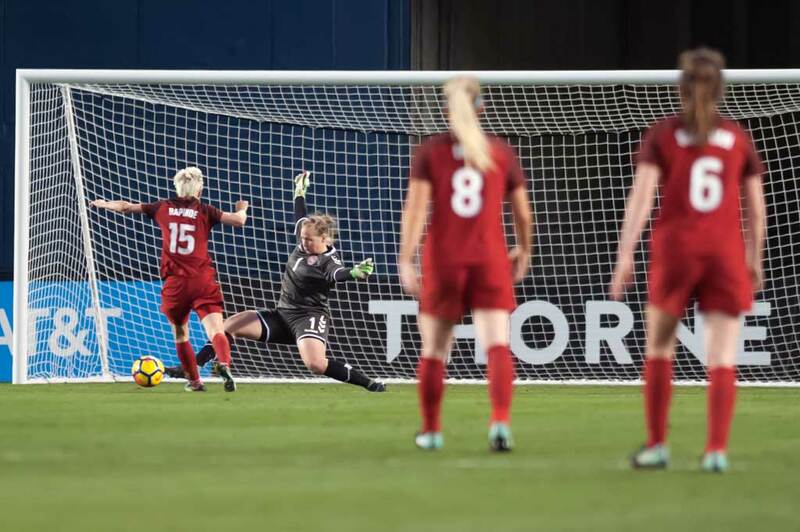 Pugh added the first of her two goals in the 47th minute after taking advantage of a Denmark defensive miscue. 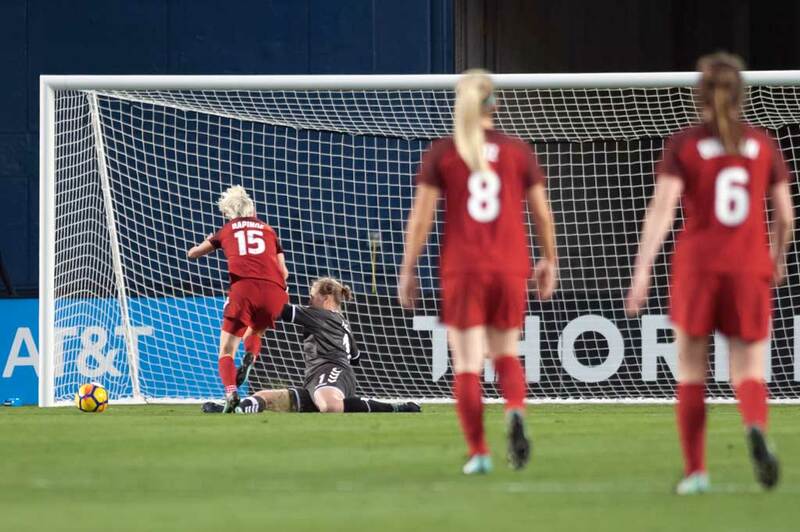 She completed her brace on the night in the 65th minute after pouncing on a poor clearance from Denmark’s Petersen and splitting the center backs on the dribble and knocking the ball into the back of the net to put the U.S. up, 4-1. Crystal Dunn made it 5-1 in the 81st minute when she put away a rebound off a Christen Press close-range shot that Petersen saved. 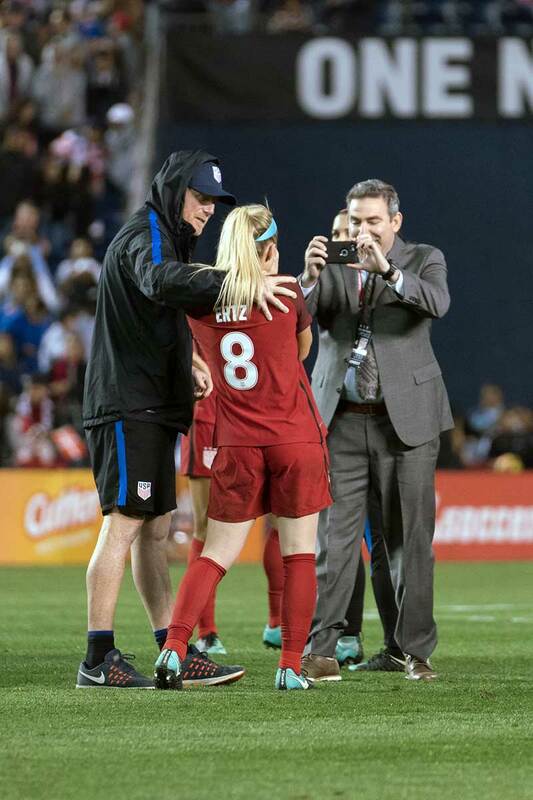 Savannah McCaskill entered the game in the 70th minute to earn her first cap at the senior level for the U.S.
All images by Manette Gonzales. 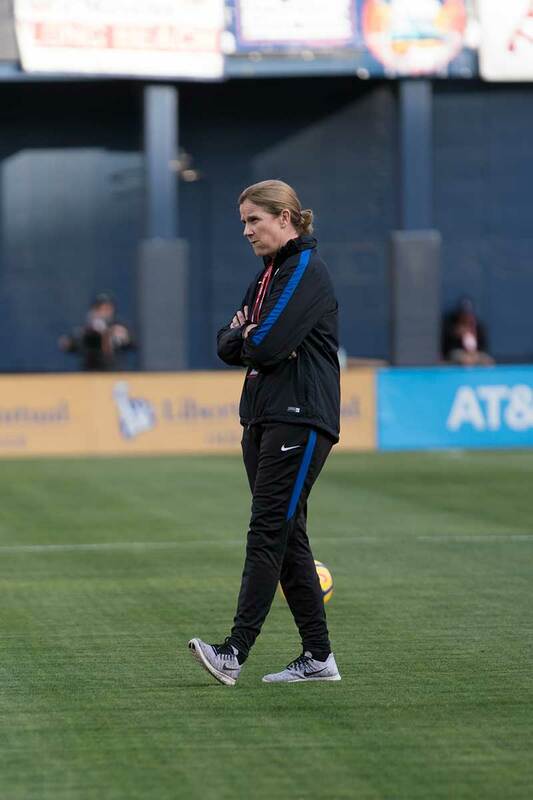 U.S. WNT head coach Jill Ellis. 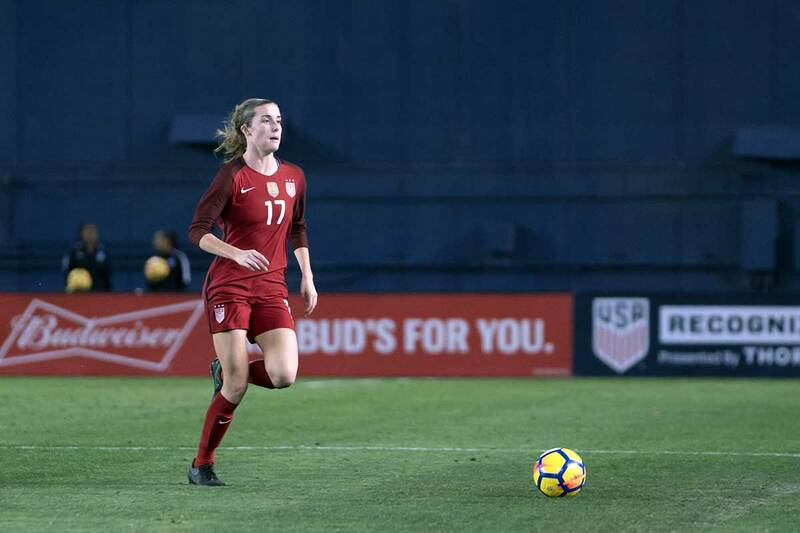 Tierna Davidson got her first start and made her senior debut for the U.S. on January 21, 2018, against Denmark. For good measure, Davidson assisted on Ertz’s goal in the first half. 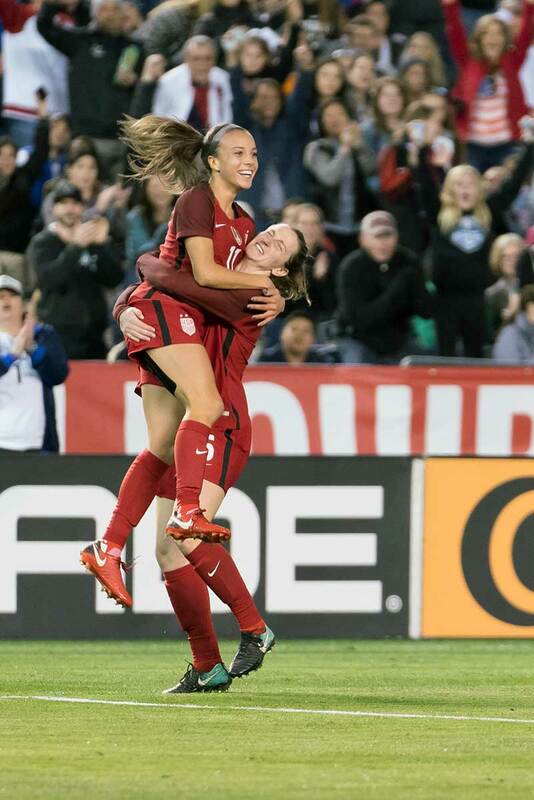 Mallory Pugh and Andi Sullivan celebrate a goal. Megan Rapinoe on a breakaway against Denmark. Starting lineup for the U.S. against Denmark on January 21, 2018. 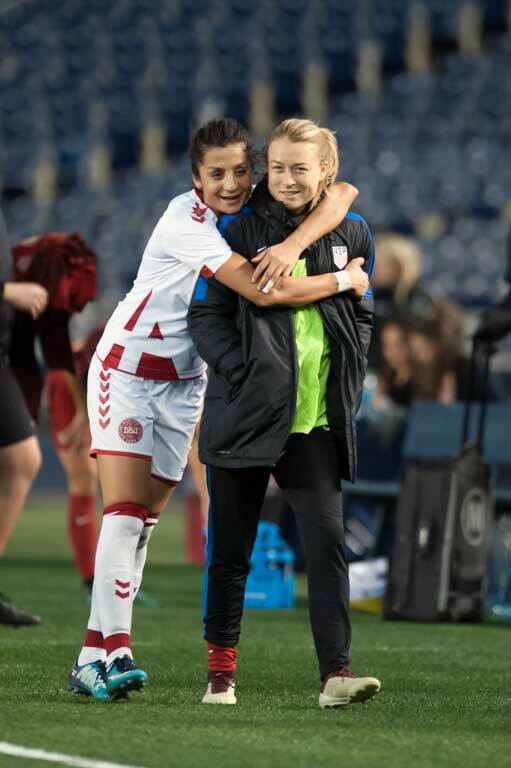 Former Portland Thorns teammates Nadia Nadim (Denmark) and Emily Sonnett (USA). Denmark’s Stina Petersen challenges Megan Rapinoe. Julie Ertz finds out her husband Zach Ertz is headed to the Superbowl, a league championship. Nadia Nadim and Abby Dahlkemper square off. Denmark’s Katrine Veje in a friendly against the U.S.
Carli Lloyd hugs Hope Solo before Solo is honored for earning 200 caps with the U.S.
Denmark’s starting lineup against the U.S. on January 21, 2018. Megan Rapinoe gets a leg up. Katrine Veje is unable to keep the ball in. 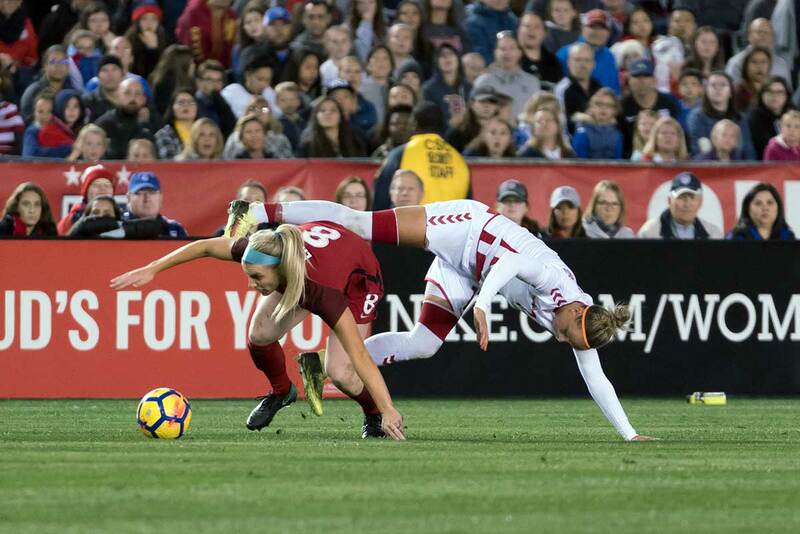 Julie Ertz and Pernille Harder get up. 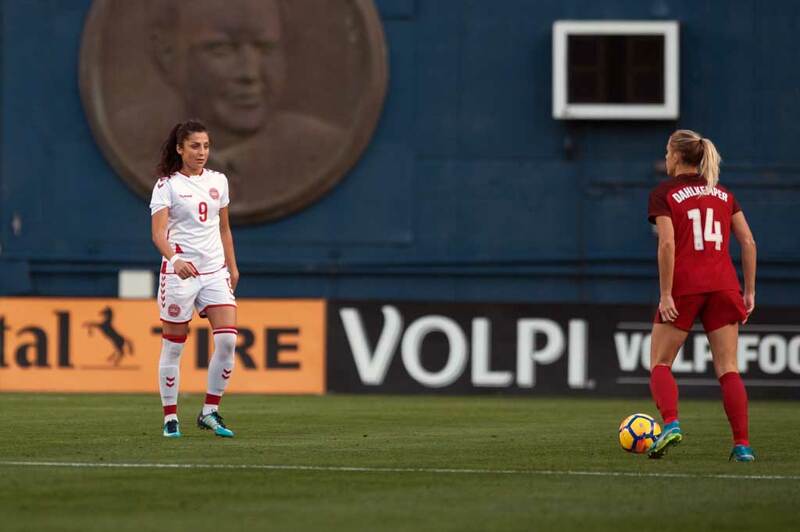 Savannah McCaskill made her senior debut for the U.S. during a friendly against Denmark on January 21, 2018. Stine Larsen and Christen Press vie for the ball. 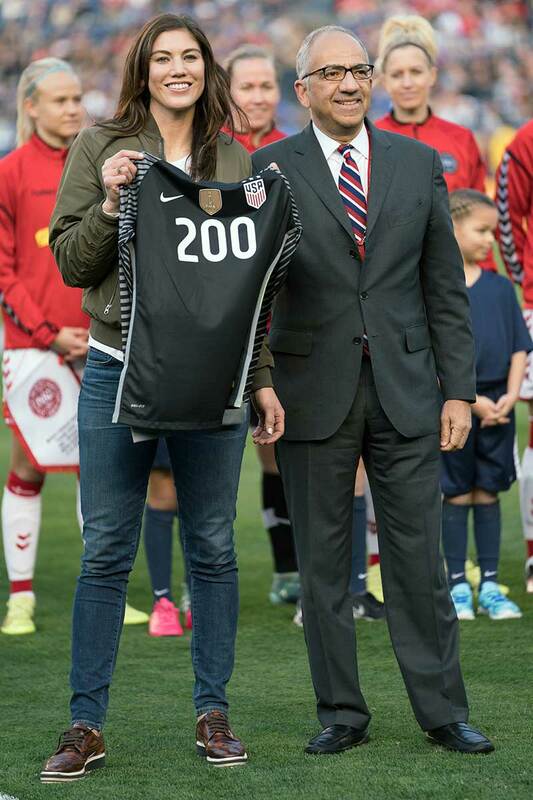 Hope Solo is honored for earning 200 caps before a friendly against Denmark on January 21, 2018.